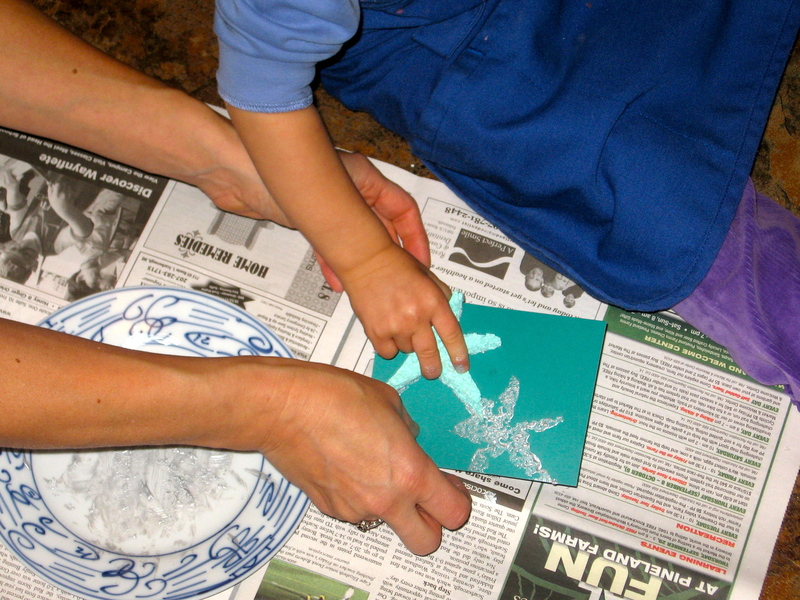 Super simple – cut some sponges into shapes ahead of time and use to make holiday prints on cardstock. We used acrylic paints which I put out in small amounts at a time. You can top off with glitter or add to w/other materials (colored pencils, markers, crayons, oil pastels) after the paint has dried. Lovely, B and E. Send me one! 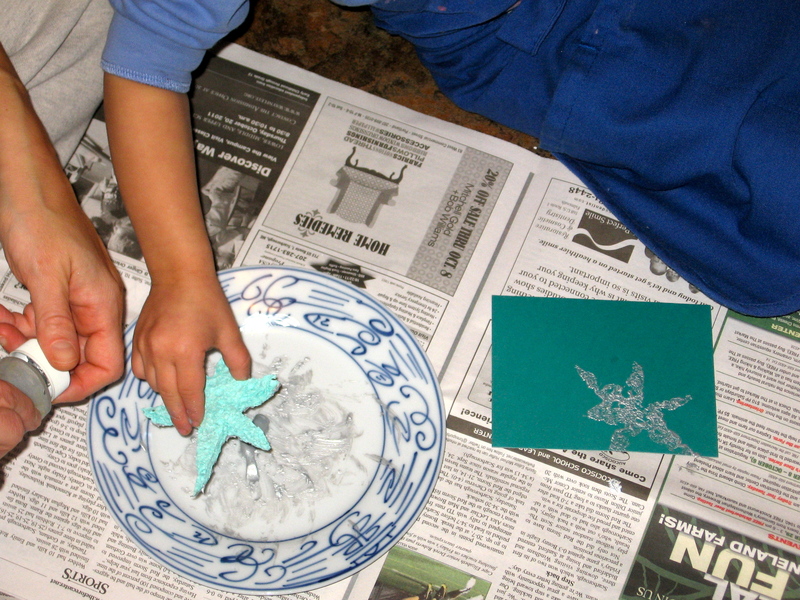 I love making Christmas cards – I’m making my own this very afternoon. Ella has many happy years making them ahead of her with this beautiful start. It looks pretty already! How fun.